Tyler “Ninja” Blevins might be on top of the streaming world right now, but even he’s not immune to being yanked back down to earth by the sometimes absurdly demanding realities of the job. 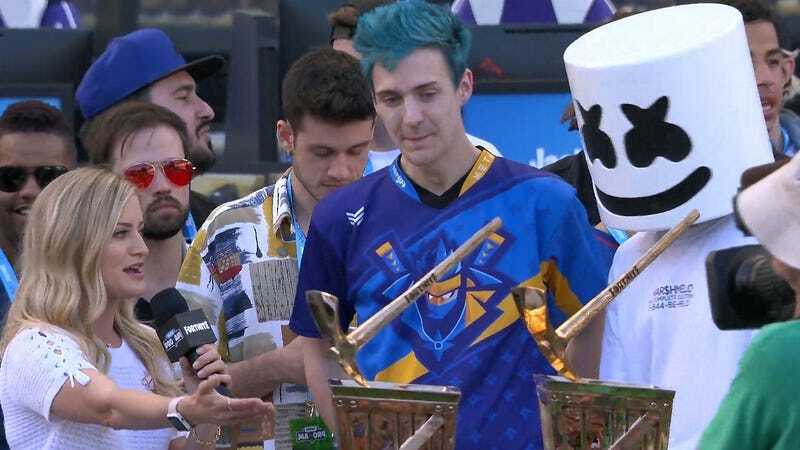 For the past couple days, Ninja’s been living it up at E3, retweeting several thousand pictures people have taken with him and winning $1 million for charity in Epic’s celebrity-streamer Fortnite Pro Am, among other things. But if you’re a streamer taking time off from your regular schedule, even that comes at a cost. Most streamers would kill to have 40,000 subscribers, let alone be able to lose that many and not have it signal a sudden and devastating end to their career in the ceaseless battle royale known as Twitch. Ninja’s sub count began skyrocketing earlier this year and got all the way up to 250,000 in April. A Twitch subscription is different from a YouTube subscription, which is just a fancy word that means somebody is following you. On Twitch, subscribers kick in actual money on a regular basis in exchange for perks on your channel. In this case, Ninja may have lost $100,000 or more, but he’s also benefited tremendously from Twitch prime subscriptions in conjunction with Fortnite throughout the year, and those subs don’t automatically renew at the end of a month. If Ninja’s not playing, new people aren’t subbing to make up for that slow trickle of automatic un-subs. The situation is as precarious as it is complicated. On the upside, Ninja should be able to get his numbers back up again once he resumes streaming. In short, Ninja is still incredibly fortunate by most metrics that one could apply to anybody in the whole of human history, but don’t let that fool you into believing Twitch is an easy gig. Streamers are expected to be on all day, every day—indefinitely. They might get to sit around and play video games, but if they sit still for too long, they risk fading away.